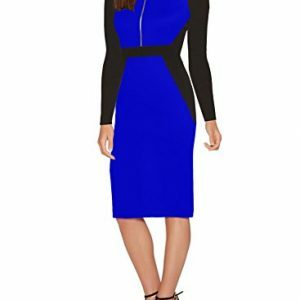 This stylish dress is very comfortable to wear and completely breathable, great choice for my summer collection. It has V neck and 3/4 sleeves which is current fashion trend in the market. – The material – It is not thin and flimsy, but are rather, made of a pretty sturdy material. – Quality – The quality lies in the details. 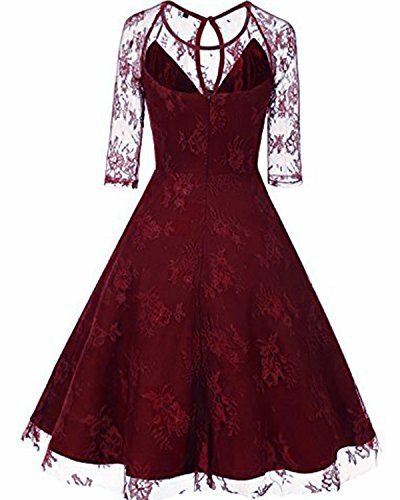 The dress is pretty well made, with nice stitching and all that. – The lace. 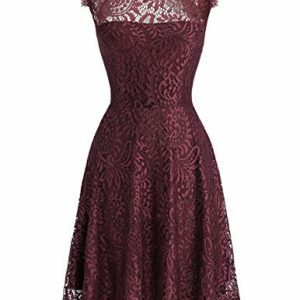 The lace layer is so pretty, It really gives the dress a nice vintage look and very classy. 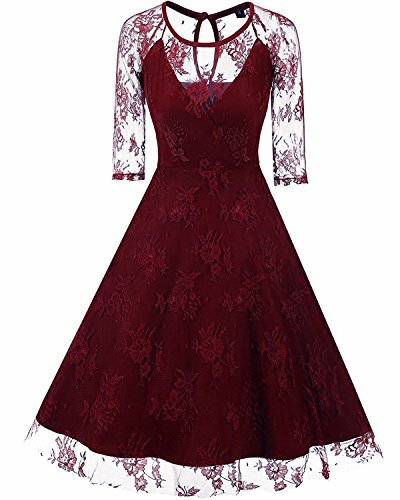 – We hope you sincerely love this dress, whenever you wear it you will get compliments. 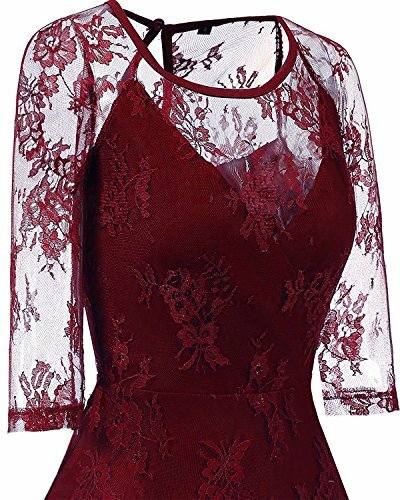 Material: Polyester & Spandex & Lace. 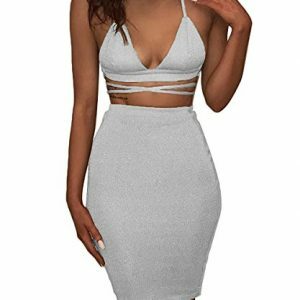 The fabric is made up of polyester and spandex, it’s soft, strechy, light weight and skin-friendly, breathable with good elastic. 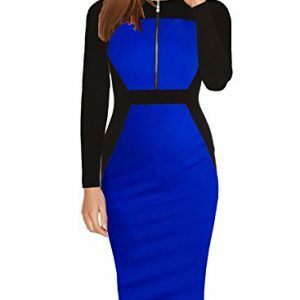 Please note that this dress designed by two different style, so we have two specially designed different US sizes. The Detailed Sizes are as following the PRODUCT DESCRIPTION. Please choose suitable size, thanks a lot. 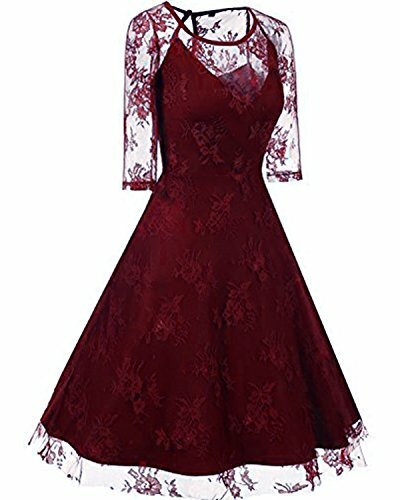 Occasion: wedding, hosting, bridesmaid, cocktail party, ball dance, special occasions, causal wear, homecoming club, spring and summer dress. Whenever you wear this you will get compliments. 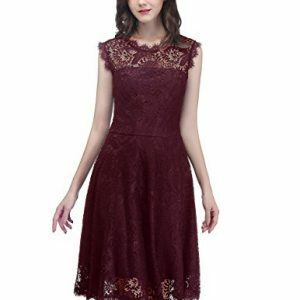 Package List: 1 women dress.Our sizes are different from Amazon Size Chart, please check the Size Information in PRODUCT DESCRIPTION when you purchase.